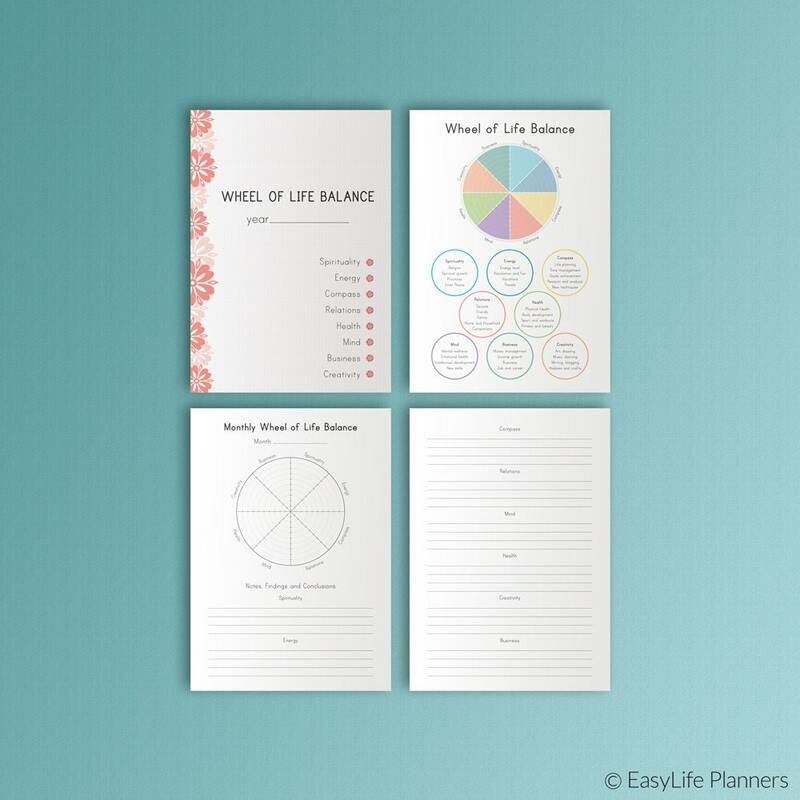 LIFE BALANCE WHEEL A4 Size will help you to identify whether or not you live a balanced life. Consider each area of your life and see if there are areas that needs more/less attention. ═ Monthly Wheel of Balance - allows you to get visual representation of the way your life is currently, compared with the way you'd ideally like it to be. ═ Notes Findings and conclusions - reflect upon the areas of life mentioned in the Explanation map and white it down here. ═ Print one copy of pages 1-2. 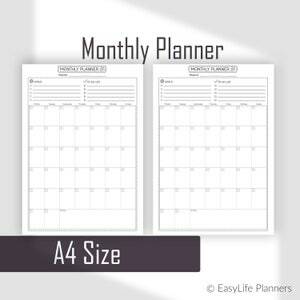 ═ Print 12 copies of pages 3-4 (One copy for each month of the year). 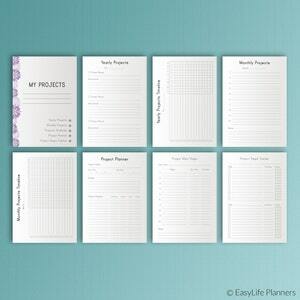 Page 1 - Title page for your Yearly Life Balance notebook which will include all the pages you've printed. Page 2 - The sample of how to fill the wheel of life balance. The detailed description of different areas of your life, mentioned in the wheel. ═ Think about the amount of attention you're currently devoting to each area. Consider each dimension and write down the amount of attention you're devoting to each area of your life using the scale of 0 (low) – to 10 (high),. ═ Use different colors for each area of your life. ═ Note that a balanced life does not mean getting 10 in each life area. After identifying the areas you want to work on, fill notes and conclusions blank and write down the advises for the next month. 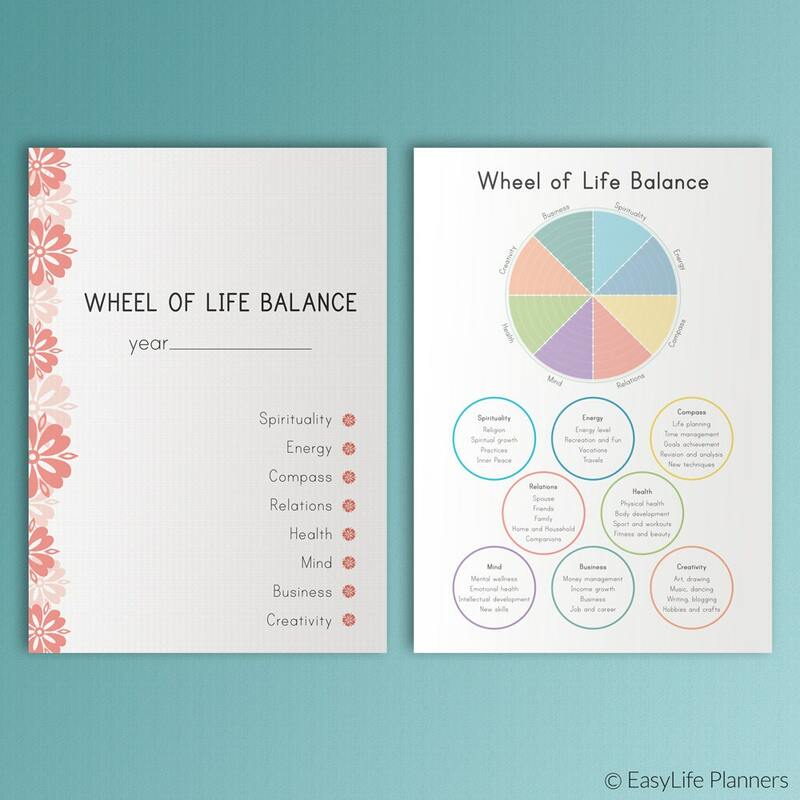 Keep in mind that LIFE BALANCE WHEEL A4 Size blanks are for personal use only. You are not allowed to edit and resell any of these files. 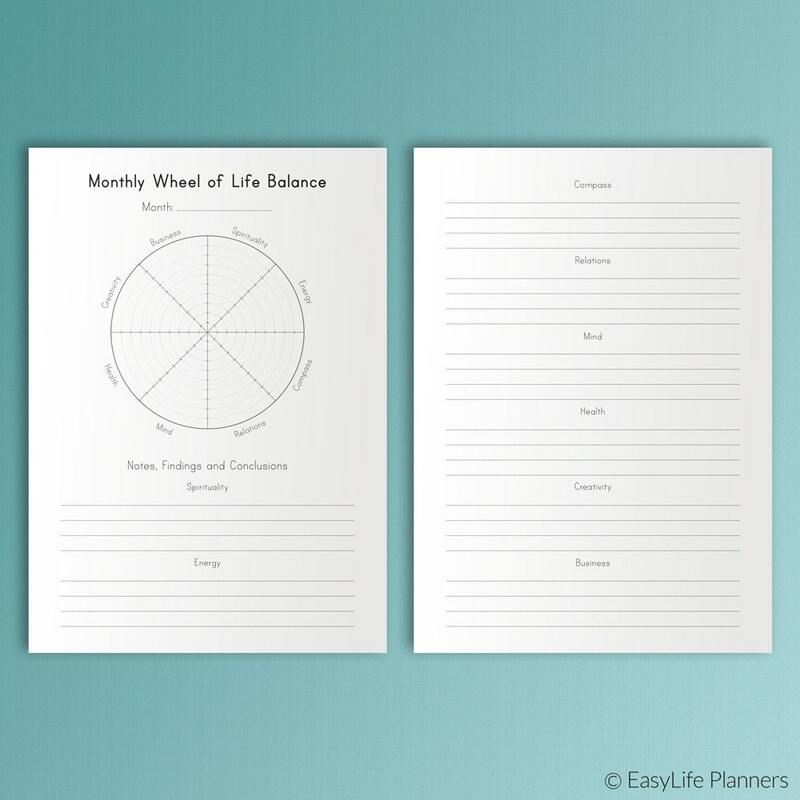 The LIFE BALANCE WHEEL A4 Size will be provided in PDF format and is NOT editable. 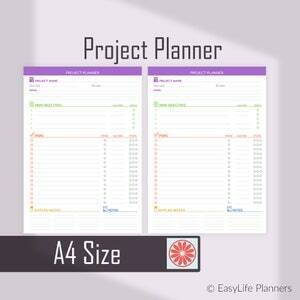 100% recommended, the template is very nice and useful, as seen and described. It's a pleasure to work with a talented, committed, flexible and fast professional. I will buy again for sure!